It started with one of those dream gigs us writers get every now and then: go on an all expenses paid trip to a holiday resort in Turkey, and write an article about it when you get back. So I did (who wouldn’t? 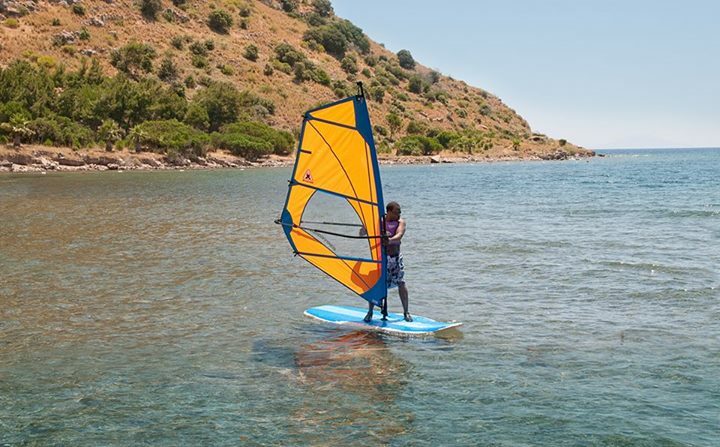 ), and amongst the activities on offer at this resort were some free windsurfing lessons. It seemed like a good idea (despite my initial quibbles) and I picked up the basics quite quickly. On the water in Bodrum last year. A whole year passed before I ventured out on the water again – this time on a ‘Start Windsurfing’ course at a watersports centre in Wales. I was a bit rubbish this time (I spent more time in the water than on it), but at the end of the weekend, I returned home battered and bruised – and, more importantly, in possession of my RYA Start Windsurfing certificate. I then found somewhere closer to home (Broxbourne in Essex), where I’ve been having practice sessions at the East London Windsurfing School. It’s now end of term, so to speak; I had my last practice session for this year yesterday and am looking forward to next spring when it all kicks off again. I’m always going to feel a little bit “oo-er” about going out on the water. Feel the fear and do it anyway. Windsurfing is a team sport masquerading as a solitary one. Yes, it is just you on your board, sailing solo. But at every step of the way, you depend on others and are encouraged to work as part of a team (it’s much more fun sailing in a group anyway). The ‘Seven Common Senses’ insist that you tell someone when you’re going out sailing, and for how long. Even the wetsuit is designed in such a way that you need someone else’s help to put it on (although I did manage to put mine on by myself yesterday). What else? Oh yeah – if you are going to take up such a sport in Britain, there will be times when you will have to do it in bad weather. Just accept that and move on. And speaking of the weather, there will be days when the wind will simply not play ball. So as well as your sailing kit, remember to pack a book or magazine (or some knitting, or whatever your other favourite means of passing the time is), just in case.